This summer I turned 35. When you're a kid, 35 is kind of old. 35 is a big deal for me. For me 35 is a bigger milestone than it's more popular neighbors, 30 and 40. For me, 35 is huge. For me, 35 had some modest financial goals. I wanted to be in a home that I would be okay living in my entire life, and ideally I would have had a 15 year mortgage, but even still even if 30 years, I would have a mortgage that would be paid off by 65 (a typical retirement age). I also wanted to have a certain benchmark number in my retirement account. I was a little short of my goal, but not miles away. For me turning 35 means if a professional career spans 45 years (20-65) than at 35 your a third of your way done and you should feel okay with your trajectory, because your opportunity to start a fresh is dissipating. In my mind the first third is where you find your path. The second third is where you bust a move and keep the course. And the final third is where you respond to any unexpected changes in those plans, even if it means adapting to a new world where you may have lost some contemporary relevance. 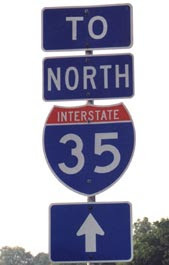 These are the things I think about, these are the reasons 35 was such a big deal. I made it. And I feel okay. And then there's this one little complication I've added to my life-view about being in your thirties...and it came from a documentary series called the Up series. I've talked about the Up series before, but if you're not familiar with this ambitious British documentary series the premise is based on the Jesuit motto "Give me a child until he is seven and I will give you the man." The first film, Seven Up! premiered in 1964 followed 14 kids, each seven year old. From 1964 forward, every 7 year a new installment comes out featuring most of the original partipants. 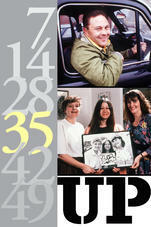 The last installment, 56 Up came out in 2012. If you're interested in an intimate and personal tracking of the life of people, this series is absolutely binge worthy. I bring this series up to discuss 35 Up, which came out in 1991 and caught up with these kids were the series had left off from when they were 28. This episode of the documentary series was revolutionary. I was nearing the end of my twenties when I watched this and frankly found 35 Up to be downright depressing. In This iteration the fibers of people's dreams were falling apart. The challenges of life were catching up with people in different ways, and people were running into real challenges and crisis. 35 seemed difficult, and I considered ending my watching of the series here. Where was the hope? Yet, strangely 42 Up was better. Much better (mostly) than 35 Up. And as my wife and I binged through this series I tried to learn from this, and developed the deep belief that the people who were happy in 42 Up were the one's who had survived their 30s with a "do no harm" philosophy. The people who pushed through challenges of career, health, family, financial challenges and everything in between were in a much better spot at 42. On the other hands those who "cracked" and didn't push through seemed to take much longer to recover. Starting over in your late thirties or early forties didn't set people up for satisfying lives in the same way. Granted, it's just a small cross section, and maybe I underestimate unique elements of the late eighties and early nineties that might color the experience. For me I walked away in that moment with a message that I share frequently with my wife and anyone who asks. For me the primary goal of the thirties is to survive them, push through, and simply make it. It might seem like that is not very ambitious, but I am convinced that this season of life is challenging than it's given credit. This is the start of families, this is the time of material ambition taking root in new ways, this is the time when you have to pay money to fix things, this is the season when the work place expects you to make your mark and put in the hours, this is the season where peers are more distant, and a season when there's not a lot of people handing our ribbons for a job well done. So I give myself a ribbon every year through my thirties and celebrate each year when I can look at myself, my wife, and my family and say "we made it - good job." Last night was the opening ceremony of the 2016 Summer Olympics in Rio. The Olympics for our family means that a home which only has the TV on occasionally in the early morning hours and evening hours is suddenly on all the time. Which means we see a lot of commercials (thank you GE, McDonalds, Pizza Hut, and Citi for entering my home, we hear you loud and clear). 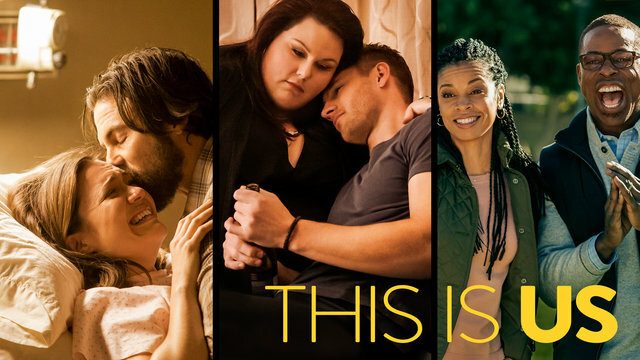 One of the commercials I have seen a few time is previews for NBC's fall show This Is Us. It seems clear that this has some of the same appeal of NBC's Parenthood, yes, we can enjoy some manipulative human drama-comedy, and this seems to fit that mold. But in the previews I couldn't tell how these different families/couples are connected. Thank you internet, I now know that these different people are connected by all being born on the same day. Cool, not sure how that works in the show, but okay, kind of interesting. But then, one of the previews said something about the character being 36. That's right folks, 36. These characters in the show are either suppose to be recently 36, or turning 36 (I can't quite tell), which means these people are supposed to be my age. Right now, in a contemporary story. And frankly, even from what I can tell from the previews it seems to in some way support my feelings that started with Michael Apted 35 Up, that this period of time is hard and are years that pave the path for the remaining chapters of our life. I am personally excited to be thirty-five and wonder how I will feel about future birthday's, but in many ways I can't see any birthday in the near future being as important mentally for me than this past year's milestone of 35, largely thanks to a world view of life and aging for a British documentary and personal goals that were established. Here's a toast to 35, and another five years setting a low bar of making it, doing no harm, and having some fun along the way.